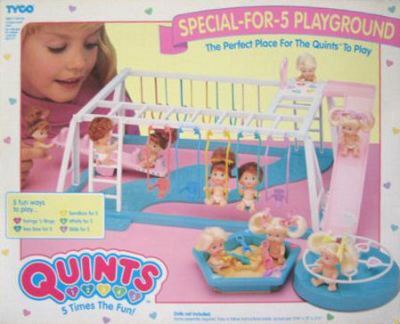 "The Perfect Place for Quints To Play"
I have seen several auctions with loose playground sets that match the box. However, I came across one that seemed to be a different color scheme. Does anyone have any information about this? 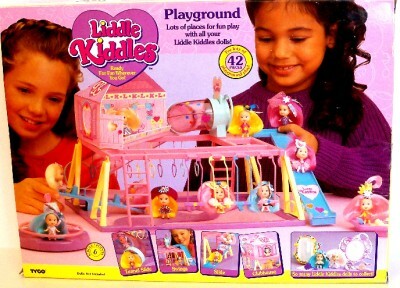 This playground was re-released by Tyco for their Liddle Kiddles line.